It's time for my first iOS app ryview! 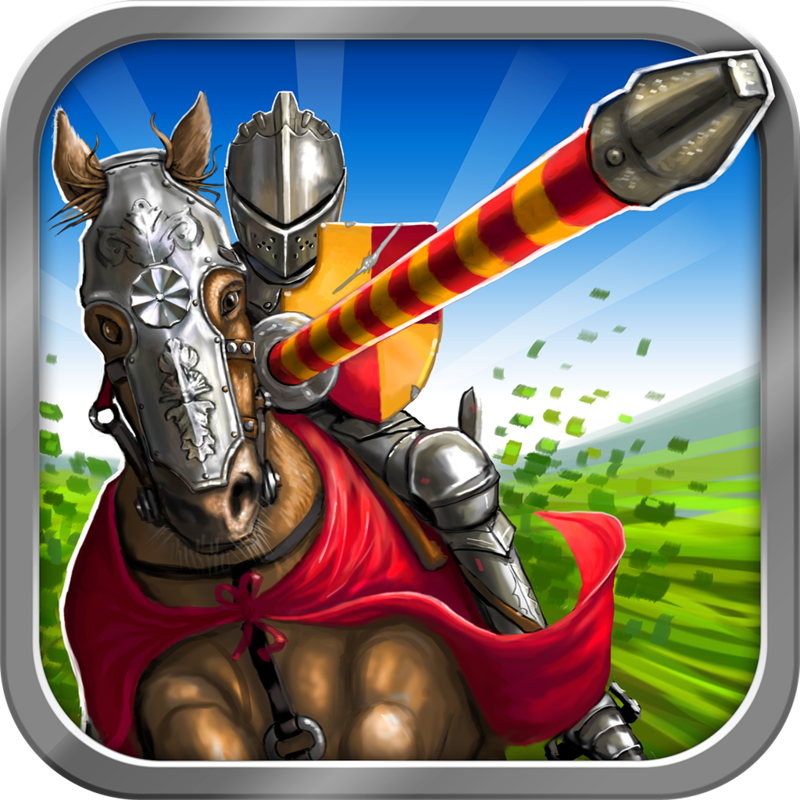 The lucky app is Joust Legend, by Rebellion Games. 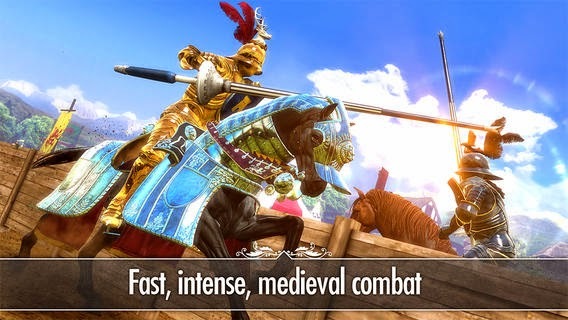 Joust Legend is a jousting game (as its name suggests) with a very simple mechanic. You are riding along the tilt, and you tap the screen to drop your lance, then tap and hold to raise it to the proper level. It's a balancing act between gravity and your taps. And you aim for small target areas for the chest or helmet. I must say, for such a simple concept, I've gotten quite a lot of enjoyment out of this game. I picked up as an "App Gone Free" listed on iosnoops.com (and as of the time of this writing, it is still free). The visuals are fairly nice, and there are skills to pick up and deploy as one-time use modifiers for your jousts. 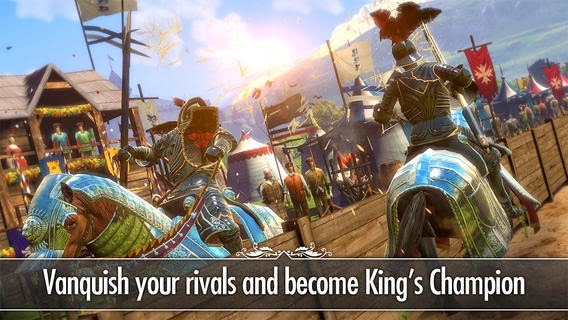 There is a loose story-like progression that leads you to become the jousting champion of Britain. I found lots of the story elements to be a bit goofy, but I'm not entirely sure if their intention was to free of cliche, so it doesn't bother me much. It was easy enough to click through. This is also the only jousting game I've ever played. And while this kind of target aiming system could be found in other games (or a very similar system), this felt fairly fresh and new. Ultimately, I enjoyed going through the game. The money aimed can be a little slim when it comes to getting better armor and upgrading your horse, but I found most of those upgrades to be fairly unimportant. My growth in skill had a much more noticeable effect on the gameplay. I did not opt to use the premium purchasing to get the armor sets. I definitely would not see the value in that. While I didn't like grinding in the game, as I just mentioned, I really don't think you'd see any meaningful return in investment from the purchase. I highly recommend playing it for at least a little while. It's definitely worth a bit of your time. Let me know what you think of Joust Legend! The core of the game is super fun, even if it does get a bit old over long play sessions so still worth to buy. Welcome to Ryan's Game Ryviews!